So I went in to inquire about the trail and it's conditions since a) I didn't think to print a map of the loop trail (it's not on our Frozen Head topo because the park map we bought back 2004 is older than the loop trail itself) and b) because we didn't know what the trail was like nor had we seen any reports about it on the web anywhere. After the lady in the office kindly printed a map for us, we geared up and set off down Flat Fork Road towards the Flat Fork Nature Trail. 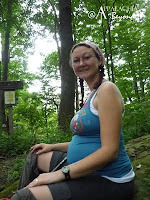 We walked the nature trail all the way to the big playground up at the intersection of Flat Fork Road and the entrance to the Big Cove Campground. Once off the trail we took back to the road up to the campground to make our way to the trailhead. The trail starts out as the service road up to the fire tower on top of Frozen Head Mountain. 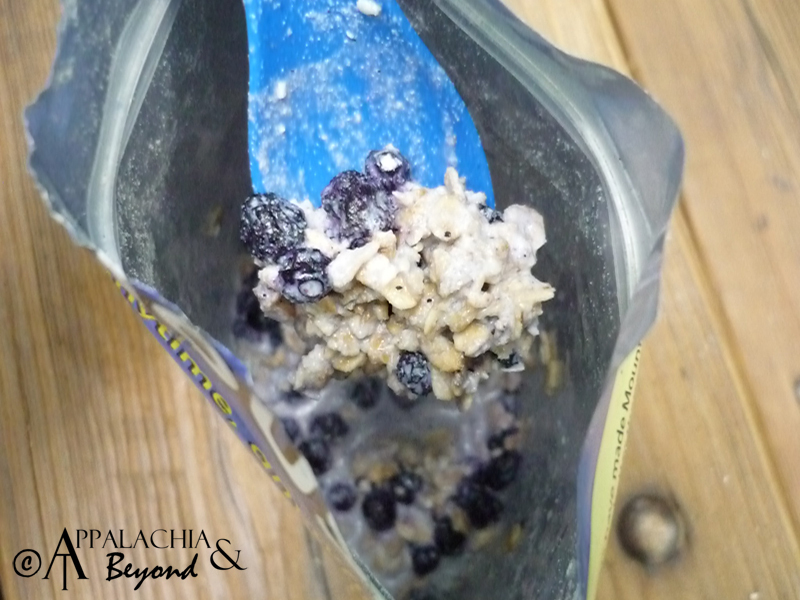 This is yet another way to hike to the fire tower. 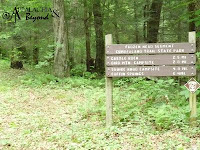 However, after about .2 miles and crossing the bridge over Big Cove Branch, the trailhead for the Bird Mountain Trail is on the left. To the left we turned, and up Bird Mountain we began to hike. The trail at this point becomes a rugged single track much like Panther Branch. It's a bit of a long trek up the mountainside and includes 14 total switchbacks to the top. We took our time stopping occasionally to catch our breath and to let Robin rest her legs as they were a bit sore from the hike the day before. Did I mention how awesome she is? Just over 12.5 miles hiked in 2 days without a single complaint and 5 months pregnant to boot. She is awesome. Onward we walked trudged up the mountain for somewhere about 2 miles, switchback after switchback. At one point we started to notice the poison ivy that was all around the trail on both sides. Of course it was a little while before I realized it and Robin made mention as to why I should take it a bit easy going through, as it would have disturbed enough to cause it to do it's thing to her bare legs as she walked through it. D'oh! 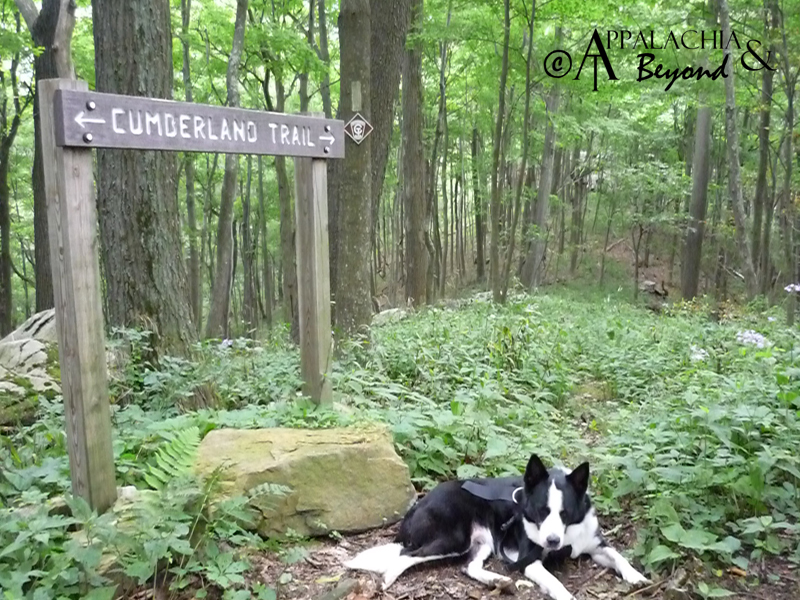 After an hour or so of the uphill climb we finally reached the top and the intersection with the Cumberland Trail, and North Bird Mountain trail. 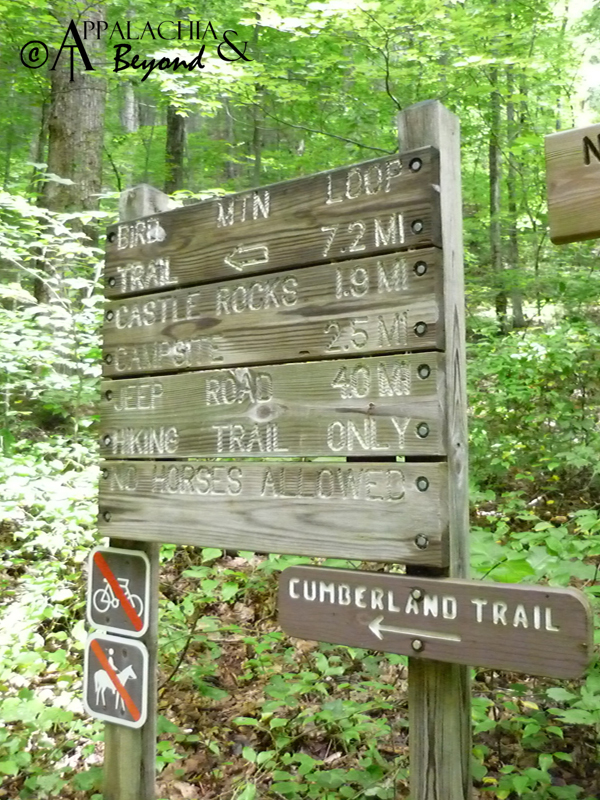 Here the Cumberland Trail runs northeast to southwest which will, at completion, run in entirety from Cumberland Gap, TN to Signal Mountain in Chattanooga, TN. 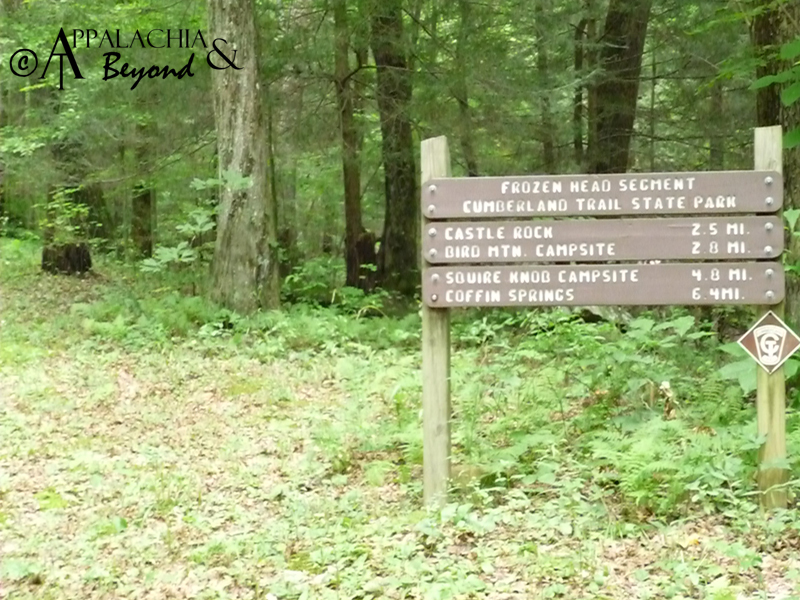 Here at the intersection you can turn to the right on the Cumberland Trail and hike to Castle Rock, the Bird Mountain Campsite along with the peak of Bird Mountain, and on to the Frozen Head Tower Trail and Jeep Road. Turning left as we did continues the Cumberland Trail to the southwest towards Ross Gap. Just after turning left the recently opened North Bird Mountain trail is on the right of the trail. 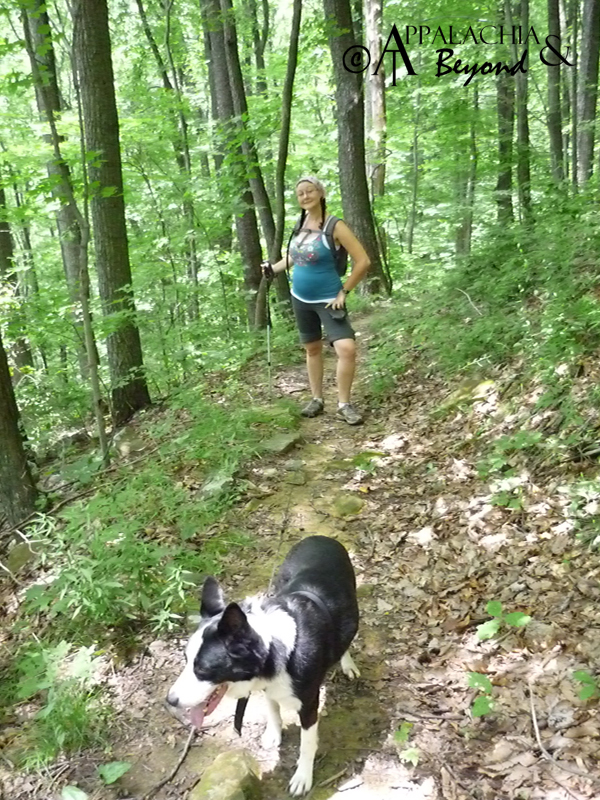 Robin, Clover, and I all decided it was time for a nice break after hiking all that way up the mountainside. So we hung out here having a little snack and replacing the liquids we sweated out on the way up. Additionally, Robin took the pant legs of my convertible hiking pants and fashioned herself some makeshift gaiters due to all the poison ivy around. After we were rested we decided it was time to continue on the loop. 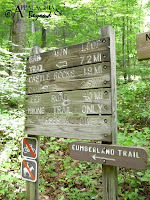 So off we set down the Cumberland Trail headed toward England Mountain and eventually Ross Gap. The trail became rather technical at this point as it was quite grown up at the intersection, and full of wildflowers. Within .2 miles from the intersection we found ourselves having to climb up on top of the outcropping, which the trail traverses for a good bit of the way in this stretch. We continued hrough minor thickets and young wood groves. At one point we spooked what must have been either pheasants, quails or some other type of grousing bird. We didn't get a good look at them but the were brownish in color with white speckles here and there. Honestly I don't know who was spooked more, us or them. When we heard the woosh and flaps of their wings I think all three of us jumped a good 2 foot off the ground. Even Clover was startled by it. We continued on, wondering what was next. After about a mile from the intersection we came to a rock pedestal traverse in the outcropped ridge top just prior to the England Mountain Peak. 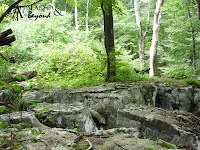 The gaps between the rocks were at least 4-5 feet wide with 20 foot drops on all sides. It was a bit intimidating but regardless we had to cross to continue. After two hops I ended up having to pick up Clover and carry her across the last two. Robin followed behind us and that's when we realized our trek had stalled. In front of us was a huge thicket of brambles, saw briars and blackberries all stretching far above our heads and on each side, the drop off of the outcropping. We couldn't tell which way the trail went from there nor could we spy any more trail blazes on the other side. I walked into the thicket along what I thought was the trail consulting the GPS along the way. After about 20 yards though, I still couldn't spot any blazes and was fearful that if I continued any farther I could quite possible step into a crevice on the outcropping and things would certainly take a turn for the worse. After coming back out of the thicket and discussing our options, Robin and I both decided that the smartest thing to do would be to turn around and head back to the Bird Mountain trail intersection and hike back down. 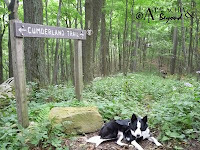 We could have continued up the Cumberland Trail to the Jeep Road but that would have made our hike at least 10 miles total and quite possibly had us off the trail by 9:00pm by our calculations. This was later than we had planned, so we decided the best option would be to hike back down the Bird Mountain trail making the hike an out and back instead of a loop. We made our way back to the intersection and decided to take a small break before heading back down the mountain. I guess you could say we were slightly disappointed, but we figured during the late fall or early spring we could possibly come back and complete the loop as things wouldn't be so grown up by that time. After our break was over we started our trek back down the mountain. About a half mile into the downward trek, a baby garter snake darted across the trail making me gasp slightly and stopping me dead in my tracks. I showed Robin and we admired the little fellar. I wasn't as scared as I normally am of snakes because he was just a baby. After shooing him off a little ways we continued to down the trail. Not more than 10 minutes after the baby garter did I spot another, bigger, garter snake all curled up on the side of the trail basking in the sun. I did a little more than gasp and definitely stopped in my tracks and slowly started walking backwards. Did I happen to mention I'm totally afraid of snakes? I let Robin in front of me so she could shoo it off. You see we have a wonderful arrangement between the two of us. Robin is deathly afraid of spiders much like I am of snakes, so Robin handles snakes for me and I take care of spiders for Robin. It works. We continued our trek back down the mountainside pretty much uneventful the rest of the way. We finally made our way back to the jeep road and shortly thereafter to the trailhead and the campground. Upon exiting a trail, we were interrupted by a camper. 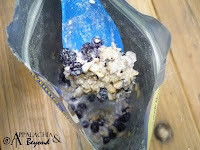 She was camping for a couple of days with her daughter and her daughter's friend and asked if we could suggest some good trails to take them on while they were there. Considering we are here all the time we kindly helped her out, or at least gave her our suggestions. After a good twenty minutes conversing about camping and hiking in the area, we were finally back on our way to the visitor center and ultimately the car. When we got back to the car, we started the regular take the packs off etc, routine and one of the rangers drove up. He wanted to know if we had a nice hike. 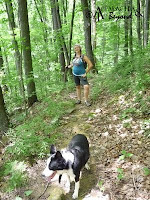 Of course we did, and we provided him with our reports of the trails we had been on over the weekend. 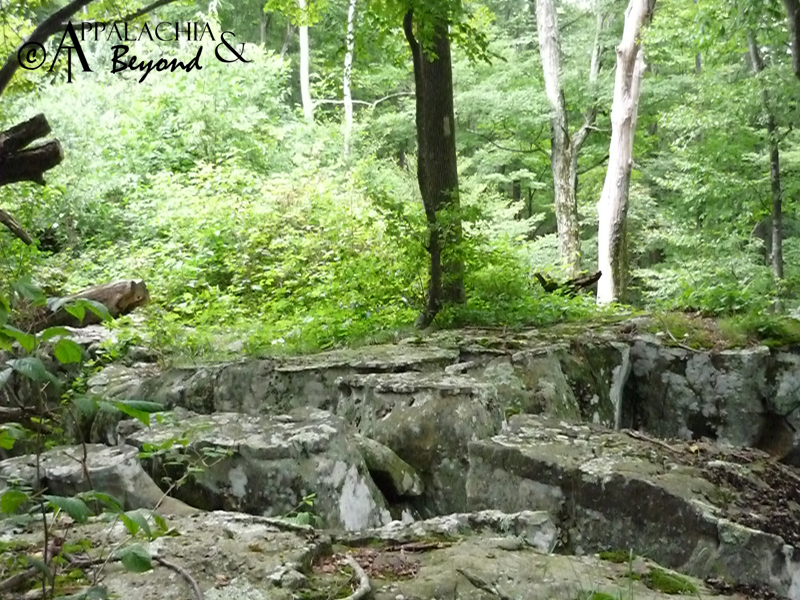 We told him of the blow downs we encountered on both hikes and how over grown the CT was where we turned around. He thanked us for our report and we exchanged goodbyes. 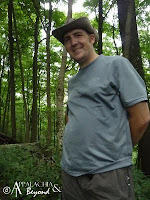 The trail was a total of 6.33 miles with 1600+ ft. in elevation gain. The park categorizes it as a moderate hike and for a seasoned hiker it definitely is moderate. Our weekend trip was over and it was time to head back home. We enjoyed our time outdoors and our mental batteries are recharged. Now it's time to get back to business of getting things ready to buy the house and for baby's arrival in December. PS - Once again, excuse the poor quality of photos. We promise they'll be better next time. Note - From the Mrs. Editor - if you really want a laugh, reread this post substituting "snack" for "snake." I got a real kick out of editing this one because Tim really is "terrified of snacks." hahahahaha!